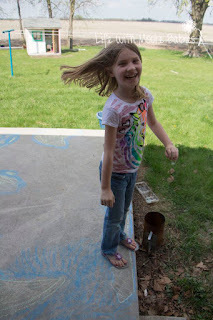 The weather is feeling like spring (this is a huge event in my world; I cannot stand cold weather), so it is time to get back outside! We have been learning about continents on paper, but my kids remember things much better when they can review it in motion. 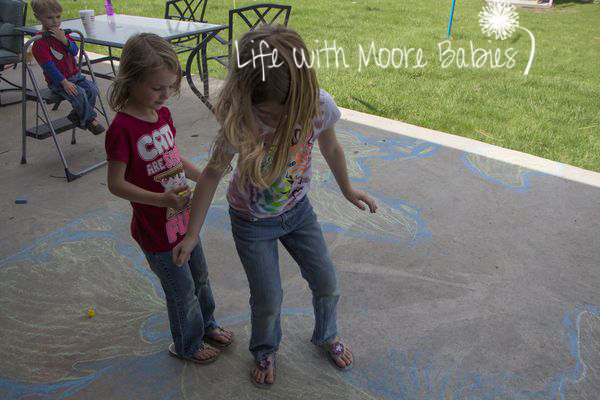 Yep, I have kinesthetic learners; especially the oldest! Our Continent Hop allowed us to move and learn! 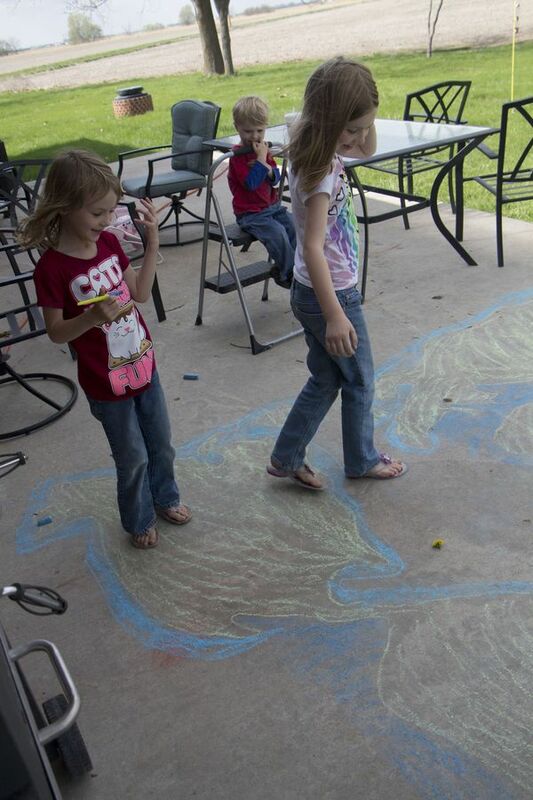 I started by drawing a giant map on our patio with sidewalk chalk. 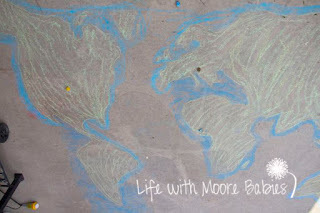 I would have colored the oceans more, but I ran out of time and chalk! 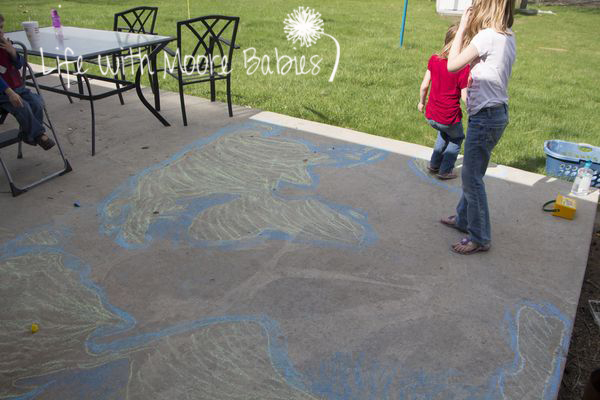 This project takes a lot of chalk! I used green for the land and blue for the water. 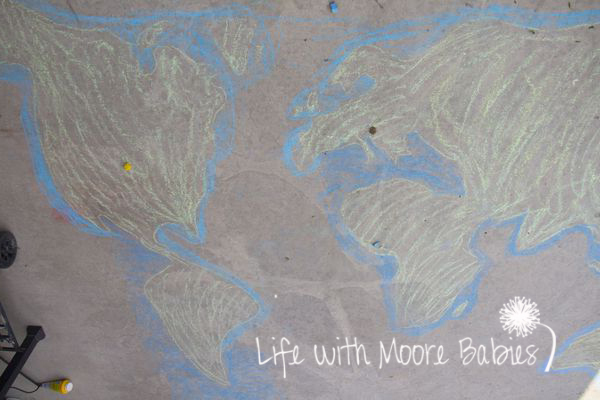 If you use a color coded map or globe you could follow those colors for the different continents as well. The active part is pretty self explanatory. 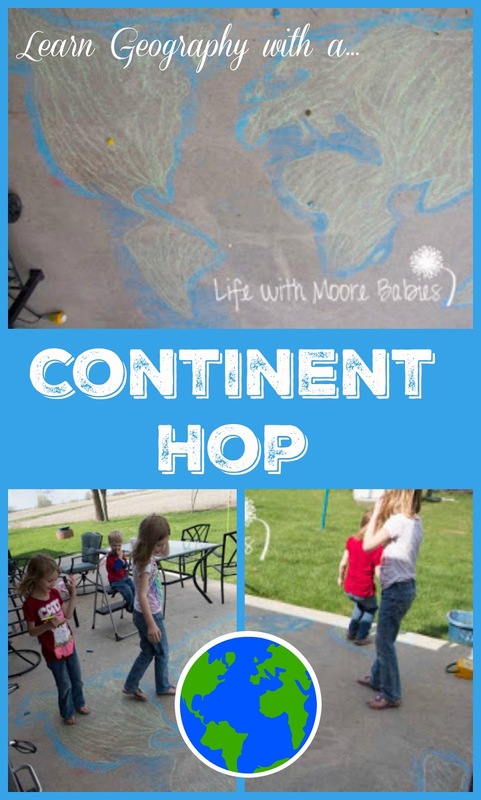 It is a continent hop, so we hopped on continents. Well I actually yelled out the name of the continents and sometimes an ocean; while the girls scrambled to be the first one to jump on it! They definitely did not like it when their sister got there first! I'm sure they would have enjoyed it on their own, but I thin the competition helped them remember! They did pretty good on the continents although Antarctica confused them for a second! In the end they had a good time and got some good review of both the continents and the oceans. 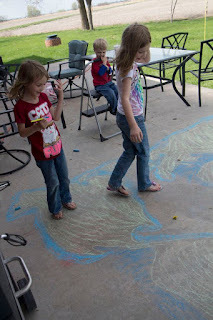 Plus the map lasted until the next rain, so we got to do it again! I have a feeling we will be repeating this when the littler ones are older or even for countries on a specific continent at some point!